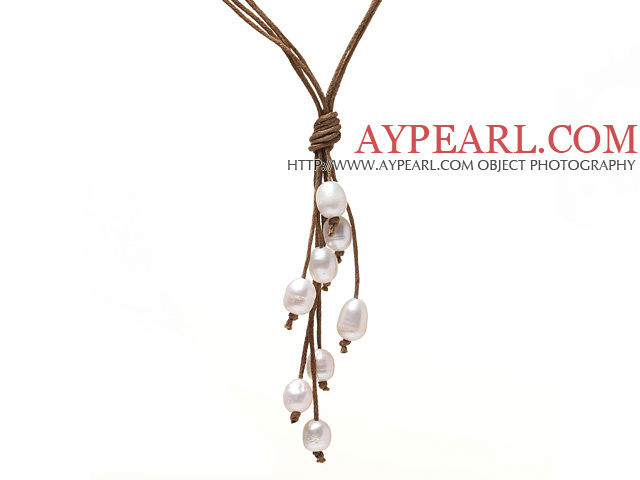 Made of white freshwater pearl and brown thread, this long necklace is really a must to your jewelry collection. It is a new trend to be simple. This necklace has simple design and fabulous style. 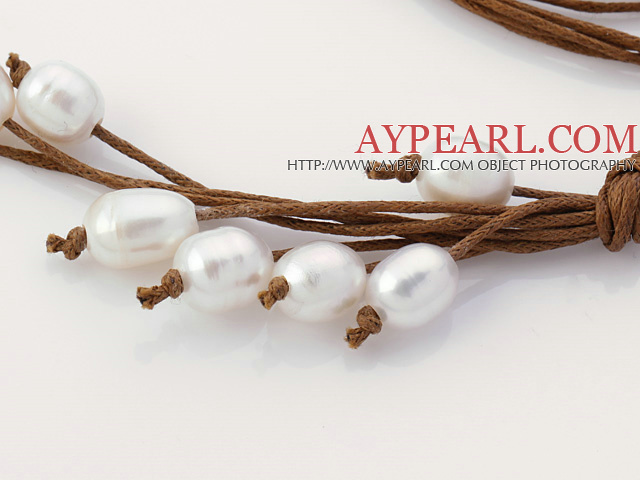 It can satisfy all the tastes for pearl jewelry, and it can make your ensemble stunning. When you go out with your friends, you are sure to wear this necklace. It can make all the attention on you, and make others pale by comparison. 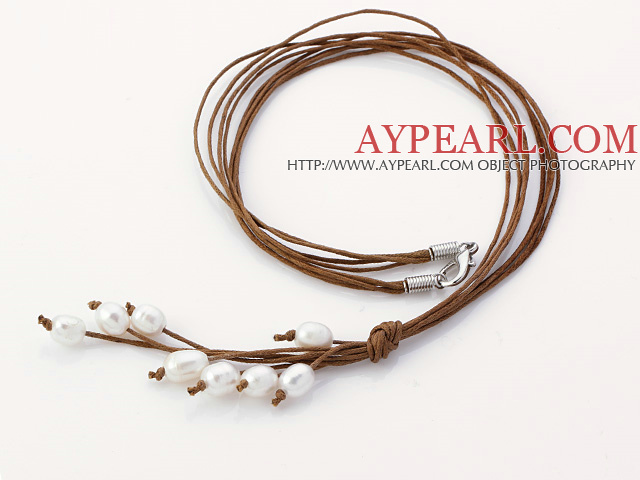 It is the necklace that can make you casual and elegant at the same time. You will love it the second you wear it! 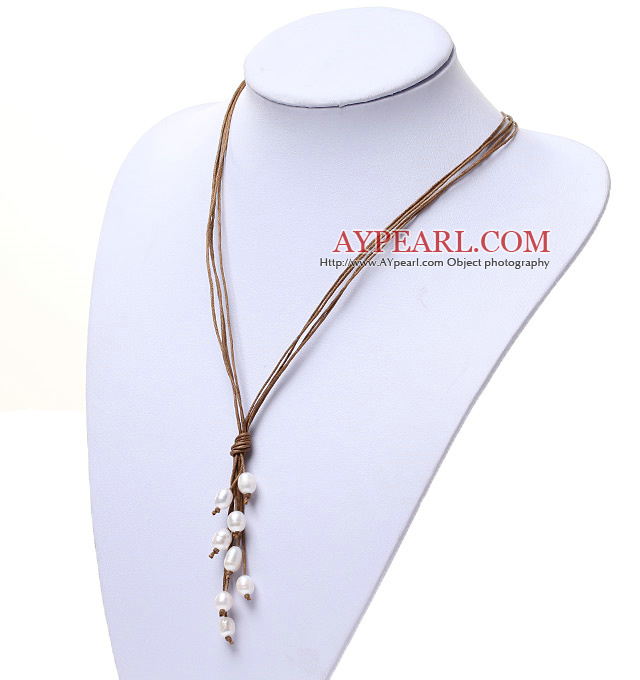 Simplicity is another beauty, and this necklace is another piece of necklace that can lighten the whole town up. Youth is fearless, and this necklace is perfectly made for young and pretty girls. Its goal is to make you energetic and younger!